North Carolina Writers' Network-West's "Day for Writers", at the Jackson County Library, Sylva, NC, on May 6, 2017, proved to be a success. The conference was well attended, and many members and non-members of NCWN-West enjoyed the professional writing workshops. NCWN-West's Program Coordinator Glenda Council Beall, and professor/writer/and NCWN-West's representative for Jackson County, Catherine Carter kicked off the event. There were seven workshops offered at this conference. Presenters included, Katherine Stripling Byer, Terry Kay, Catherine Carter, Tara Lynne Groth, Deanna Klingel, and Gary Carden. 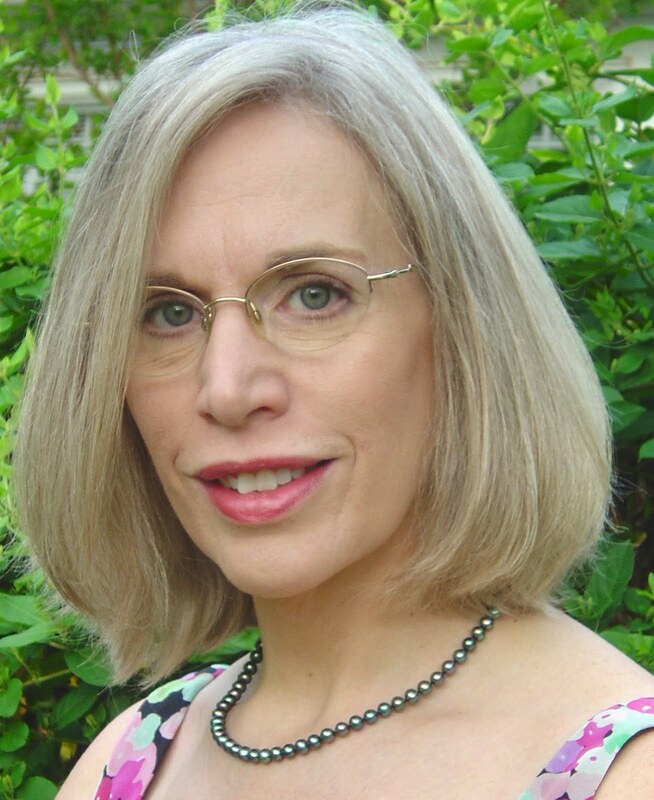 Katherine Stripling Byer's workshop was entitled, "Lifelines: letting another poet's work help revitalize ours". In this workshop, participants brought a copy of a poem by a poet whose work they admired and went to time and time again, and held clues for that person, Students then used these clues to modify a poem of theirs that needed to be energized, and re-evaluated in terms of its poetic elements. Terry Kay's workshops were: “The Things Dr. Epps Didn’t Teach Me”, which addressed basic writing techniques Kay described as the DNA of writing and, "Questions and Considerations, Issues that Writers might have that go beyond the typing of words". Kay discussed the practical application of writing, such as the value of rhythm, the imperative power of verbs, the sense of voice, and some smoke and mirror tricks that work. Catherine Carter's workshop was: “ Free Verse Isn’t’: Sound and Structure in Free Forms”, as in writing free verse, writers still have to make choices, as there are decisions to make regarding structure. Carter and her classroom participants explored some tightly crafted free verse poems, then wrote and shared some of their own, using devices that were discussed in this workshop. Tara Lynne Groth's topic was: "Why Authors need bylines in magazines and how to make that happen". This workshop focused on how an author's bylines in magazines and newspapers could help attract literary agents, grow their writer platform, aid in book marketing, craft a perfect query letter, build authority, and produce income. Deanna Klingel's workshop was: "The Merry Go Round of Children's Literature". Klingel discussed how to recognize the types of children's literature, the myths about writing for children, and the writing process for Child Lit and how it differed for each kind of Child Lit. She also went over questions to ask your publisher before signing a contract and addressed how to market Child Lit. 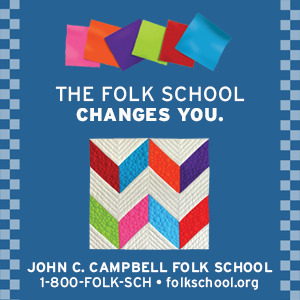 Gary Carden's topic was "Folk Drama", its origin at Chapel Hill, NC. and his exposure to folk drama at Western Carolina Teacher's College classes. He ended his presentation with a discussion of how his work defines the purpose of folk drama as exemplified by Paul Green and Fred Koch. There was a Marketing and Publishing panel, at the end of the day at the conference. Participants were: Tom Davis, publisher (Old Mountain Press), Deanna Klingel, author, Tara Lynne Groth, marketing expert, and Glenda Beall, author and teacher. The panel was moderated by Staci Lynn Bell, poet and former radio personality. This event was planned by Glenda Council Beall, program coordinator for NCWN-West, with the help of several volunteers. The volunteers were: Marcia Barnes, Catherine Carter, Merry Elrick, Joan Howard, Kathleen Knapp, and Joan Ellen Gage. A special thanks goes out to Newton Smith, NCWN-West's treasurer for managing the business end of the conference. Karen Paul Holmes, Deanna Klingel, and Janice Moore were influential with marketing this conference. We want to express our appreciation to the Jackson County Library staff for all of their wonderful help in planning, setting up and tearing down.If we had need of anything, they were right there with it. Photos by Joan Ellen Gage. Almost one hundred years ago, a remarkable man named Fredrick Koch began teaching drama at the University of North Dakota. Within a decade, his accomplishments were noted by other universities, including the University of North Carolina and he was “invited” to design and launch a Carolina-based theatre program. Koch pulled up stakes and came to Chapel Hill. The results changed American theatre forever. Koch encouraged his students to write one-act plays based on events drawn from the history of their home towns, their state and regional folklore. The results were remarkable. 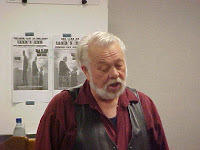 Over the next decade, his students wrote hundreds of plays on subjects ranging from ghost stories (Elizabeth Lay’s “When Witches Ride”) moonshine and bootlegging (Herbert Heffner’s ‘Don Gast Ye Both”), legends of outlaws (Paul Green’s “The Last of the Lowries,” and Thomas Wolfe’s “The Return of Buck Gavin,”) and the birth of Abraham Lincoln (“Nancy Hanks, Bondswoman.”)So began the Carolina Playmakers, one of America’s greatest theatrical movements. In time, these fledgling saw their plays produced and toured throughout the state. In the process, the Playmakers learned to build portable sets, design costumes and create essential lighting. Eventually, Koch published eleven volumes of folk drama and the folk drama movements spread, eventually taking root in other countries. Many school children in North Carolina (circa 1920-1940) saw their first plays when the old Playmakers van arrived at their school. (I was in the 5th grade when I saw“Lost Horizon” and went back stage to see the airplane that flew over the town at the play’s conclusion. (It was a piece of cardboard pushed into an electric fan). Since the primary goal of the Playmakers was to promote an interest in theatre, their productions stressed simplicity – plays that could be done with a minimum of resources. Playmaker productions were often done in gyms, cafeterias and classrooms. The benefits were impressive. In addition to seeing a dramatic work, students learned about their region’s history and culture. Assuredly, the children who participated in these events found their lives immeasurably enriched and the memory of the Playmakers’ visit gave them a sense of pride in who they were and were they lived. Which brings me to this conclusion. I think it is time to do it again. Is it within the realm of the possible that Writers Network West could be instrumental in launching a new “folk play movement”? Are there students in the high school in Hayesville or the Community College at Blue Ridge Community College who are capable of writing a one-act play? Could Writers’ Network West nurture this movement by monitoring progress? Arranging for productions of student-written play, planning a festival?